Ildar Abdrazakov returns to the Metropolitan Opera stage on September 26, 2015 to reprise his portrayal of Henry VIII in Sir David McVicar’s production of Anna Bolena, the first of Donizetti’s three “Tudor Queen” operas. Ildar will sing alongside Sondra Radvanovsky as the doomed title character and Elīna Garanča as Giovanna, her lady-in-waiting turned deadly rival. Marco Armiliato will conduct the opera, which also stars Stephen Costello as Percy and Tamara Mumford as Smeton. 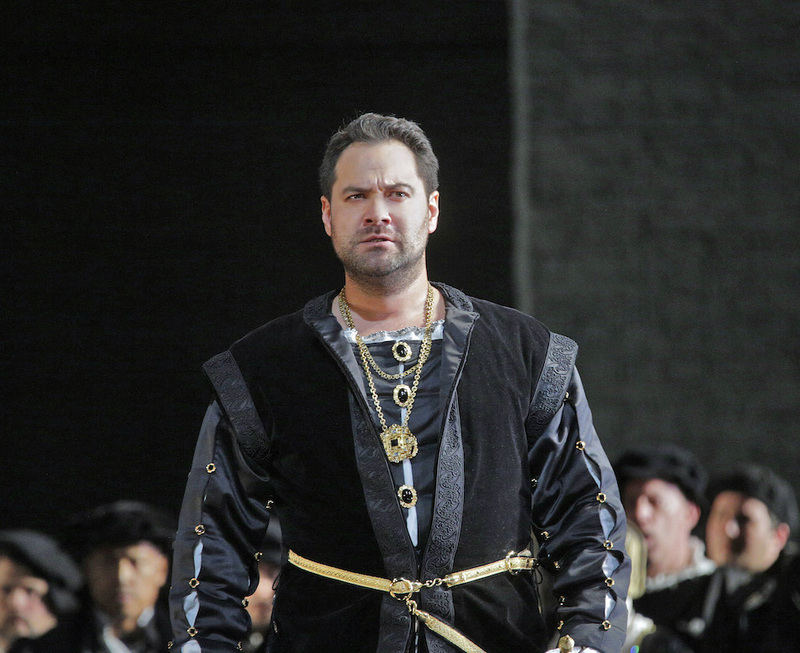 Of his 2011 Met performances as Henry VIII, “Ildar Abdrazakov brought his earthy, muscular voice to the role.… he was an imposing presence, and he did not overplay the king’s brutishness,” wrote the New York Times. Repeat performances will take place on October 1, 5, 9, and 13, plus January 5 and 9. Find more information in the Metropolitan Opera’s digital brochure.